It’s been a long and tortured winter, but today (April 2nd) we are blessed with a glorious 66 degrees and sunshine. And not one moment too soon! The upright freezer is down to about two dozen pesto cubes and four pints of homemade “convenience” foods from last year’s garden (see below). Will and I are both itching to start plant this year’s harvest. Past experience has taught us that mid-May is the earliest we dare try, so waiting requires enormous self-control. Heat the oven to 350. 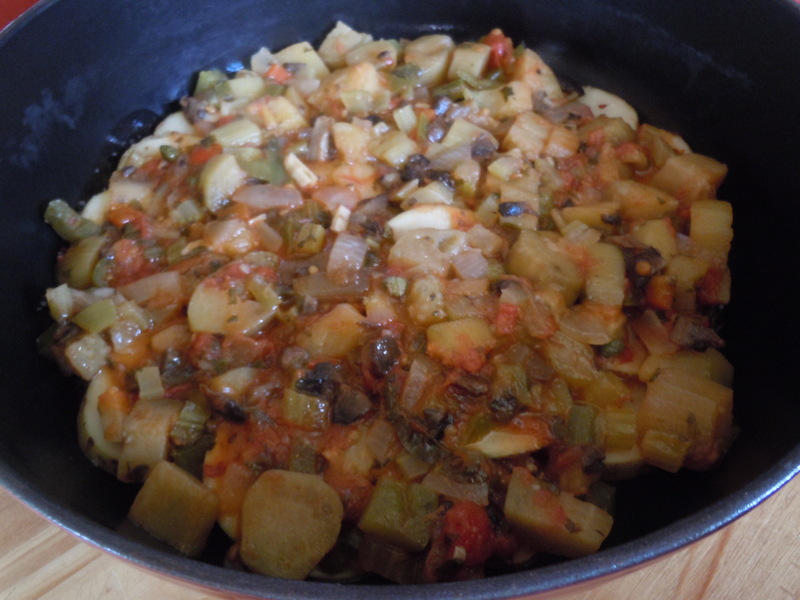 Place half the olive oil in a nonstick, lidded, ovenproof casserole. 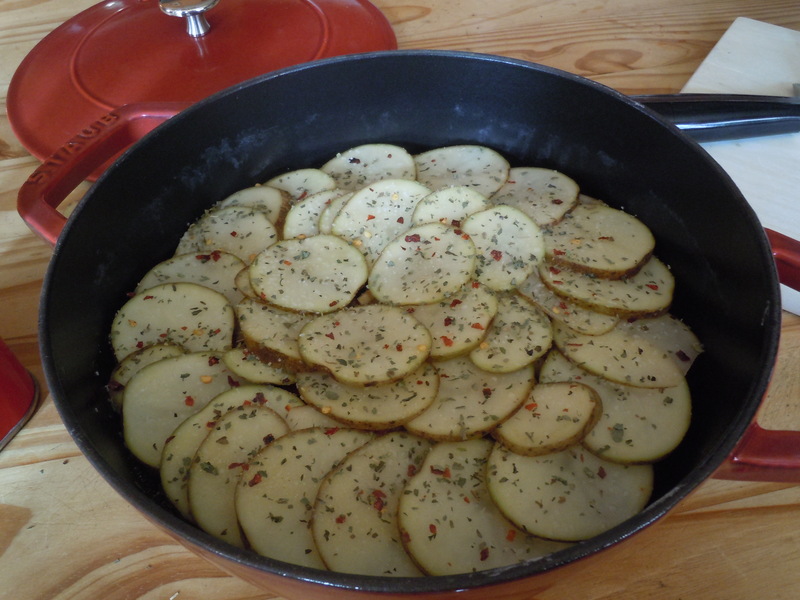 Slice the potatoes thinly and use half to cover the bottom of the casserole. Season generously with onion powder, garlic powder, salt and crushed red pepper. Spread the Caponato over the slices potatoes. 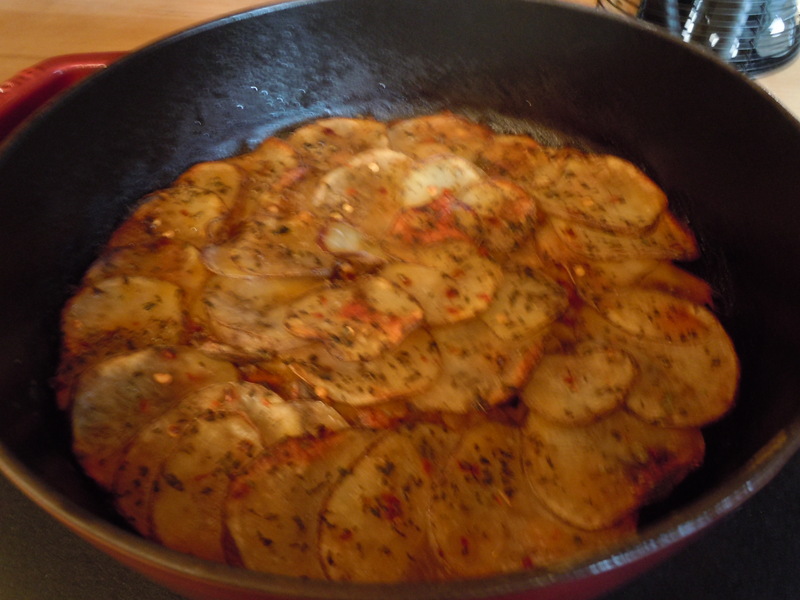 Top with the remaining sliced potatoes. Brush with the remaining olive oil and season with the onion powder, garlic powder, salt and crushed pepper. Cover and bake for 45 minutes. Remove the lid, raise the temperature to 400 and bake an additional 15 minutes or until the potatoes on top are browned and crusty. 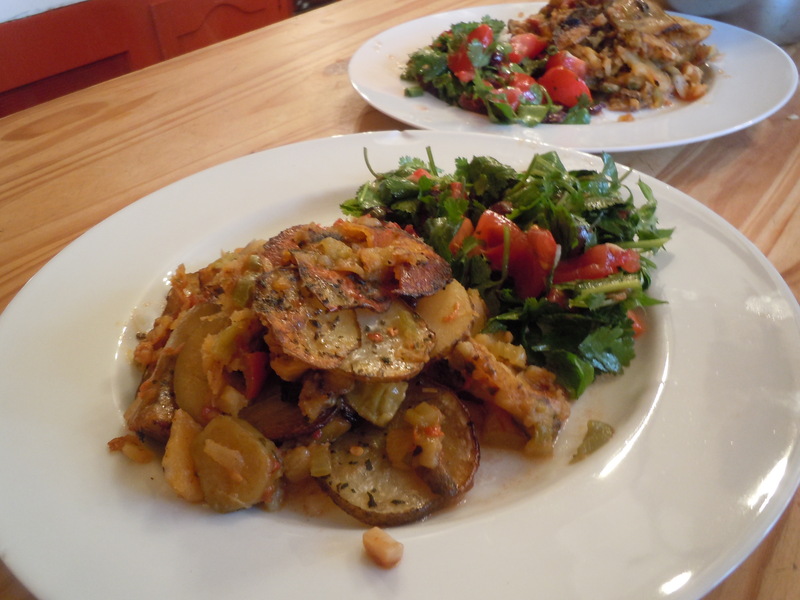 Serve with a salad of onion, tomato, and coriander. 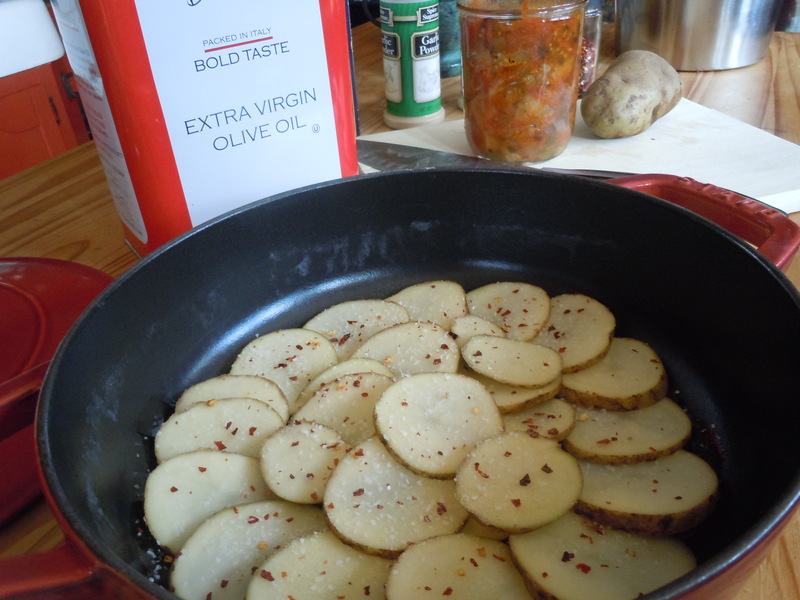 In the olive oil, in a very large, deep skillet or saucepan, saute the first six ingredients. Add the tomatoes, basil, oregano, parsley, salt and pepper and simmer until veggies are just cooked and sauce is slightly thickened (20 minutes). Add the capers and ¼ c vinegar. Add additional vinegar to taste. Adjust the seasoning. 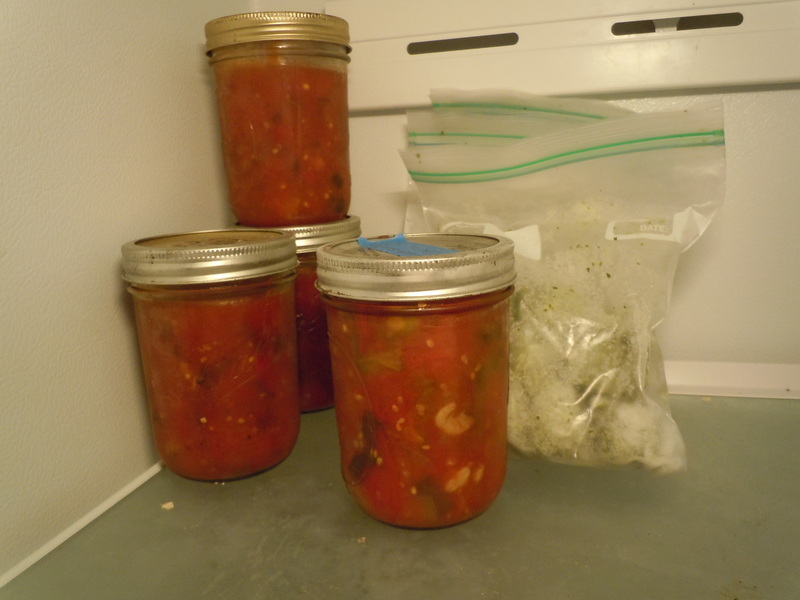 Place into prepared pint jars and either process in a canner or refrigerate for use within a week. This entry was posted by Glyn Ruppe-Melnyk. Enter your email address to follow All Good Gifts and receive notifications of new posts by email.